“Things aren’t how they used to be.” I remember my parents saying that as I was growing up. Now it’s my turn to say it. When I was growing up, music class was my favorite part of the day. Now it seems that students are lucky if they ever see an arts teacher before reaching high school. You could say I’m a cynic, but it’s true. According to an article published by the National Education Association, arts education is disappearing in schools that need it most. Lucky for us we can bring arts education right into our homes with the Internet. Yes, things aren’t how they used to be, but here are six piano blogs you should be following if you’re looking for great resources to learn, play, and teach piano. Color in My Piano is dedicated to all things related to teaching piano. The blog is the brainchild of Joy Morin, a piano teacher who holds a master’s in piano performance and pedagogy from Central Michigan University. Joy has been teaching piano for almost ten years now and has done an excellent job of documenting her successes as a teacher. Her blog journals her adventures in piano teaching and also serves as a place to exchange ideas and resources with other teachers. The blog features the following sections: printables, music apps, repertoire lists, reading lists, links, and more. The site also provides useful teacher tools, such as free worksheets, templates used for keeping track of payments, recommendations of other useful music resources, ideas for reward programs to use as incentives for students, and even lesson books for sale. For those of you unaware, the term “accompanist” has been removed from professional musician’s vocabulary and replaced with “collaborative pianist.” This new term gives credit to the fact that pianists playing with other instrumentalists and singers often have equally important parts and should be thought of as duet partners rather than an accompanist. As a pianist myself, I’m grateful for this new term. My speculation is that pianists were labeled an accompanist because the piano is such a typical instrument. With many genres of music, there is often a pianist in addition to a different type of instrument – making the piano seem rather neutral. For this reason, it seems like the “other instrument” is the soloist – when in fact, music is a collaboration of whoever is performing. The Collaborative Piano blog, created by Chris Foley, focuses on all facets of collaborative piano. Chris talks about music, professionalism, job openings in the collaborative pianist field, tips on how to practice and perform, and other topics. Considering that Chris has a Doctorate of Musical Arts in Piano Accompanying and Chamber Music from the Eastman School of Music, in addition to working as a senior examiner for the Royal Conservatory of Music – he’s certainly a credible source of information in this field. The Teaching Studio blog is about teaching piano – imagine that! 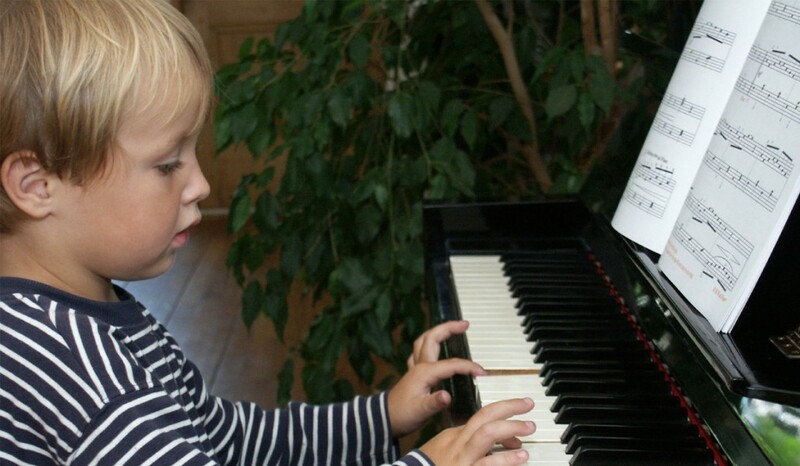 Here you will find inspiration and ideas to help you become a better piano teacher. Created by Jenny Boster, a young but experienced teacher, this blog has fresh, original content that will liven your lessons. Jenny recently wrote a new music class curriculum for five and six-year-olds called “Mighty Musicians,” which encompasses singing activities, introductions to great works of classical music, listening activities, and more. The blog is a wonderful resource for piano teachers that focus on a young age group and offers free “printables” of helpful teaching charts and graphics as well as recommended reading lists. Josh Wright is the creator of The Piano Doctors blog and is also a top-ranking billboard artist with a chart-topping album. He is currently pursuing a Doctorate in Musical Arts from the University of Michigan, in addition to teaching a weekly lesson to students on five different continents, thanks to the Internet. The Piano Doctors blog is geared towards professional musicians, addressing issues such as managing stress, having a healthy competitive mentality, how to make it as an entrepreneur, and other topics that pertain to life as a professional musician. His blog provides videos of piano performances, interviews with child piano prodigies, and has useful piano music and life tips that can apply to any profession. For an example of Josh’s work, check out his rather edgy video of a Chopin Etude. The audio comes from his album, My Favorite Things, and the video is similar to a color run exploding on a piano. Check it out! The Piano Guys are four musicians consisting of a classical pianist, a cellist, a videographer, and a music producer. Between these four trained professionals, The Piano Guys turn modern pop songs into beautiful, more classically-oriented works of music, that are then filmed to create stunning videos. With 400 million YouTube views and more than one million Facebook fans, it’s clear that these traditionally trained musicians are making a huge statement with modern culture! Lucky for us, they have created a blog to share their exciting musical success with the world. The Pianos Guys blog features an archive of all of their music videos, behind-the-scenes footage, information about their shows, and other fun, random posts about music. This blog isn’t helpful if you want to learn more about teaching or playing piano, but it’s an exciting place to view amazing piano music videos for inspiration! Founded by music teacher Leila J Viss MA, the 88 Piano Keys blog has a simple design that is easy to navigate and has many user-friendly learning tools. Unique to this blog is the “Music App Directory” section, which contains a list of learning apps for mobile devices. This section is an incredible resource for teachers looking to incorporate more technology into their teaching. The “Get Inspired! Episode Directory” features curated content of various music genres aimed to inspire. Whenever you need a little motivation, be sure to visit this page for incredible content that will get your gears going. This blog could also keep the cost of teaching materials down; it’s regularly updated with coupons that can be used to purchase teaching materials!